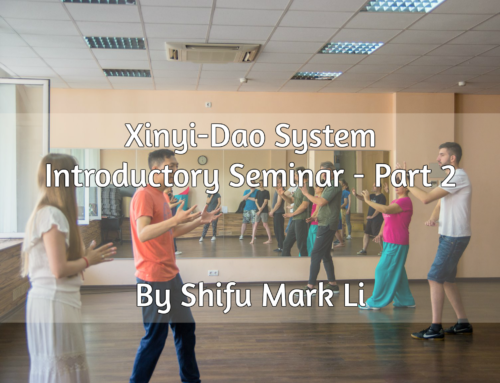 Home/Public talk by Grandmaster Li Tai Liang on the origins and methods of the Xinyi-Dao system, at Stanford University on March 8th, 2018. 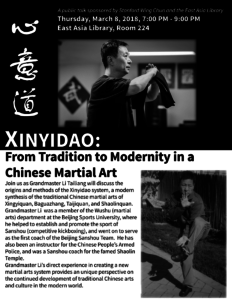 Xinyi-Dao: From tradition to modernity in a Chinese martial arts. 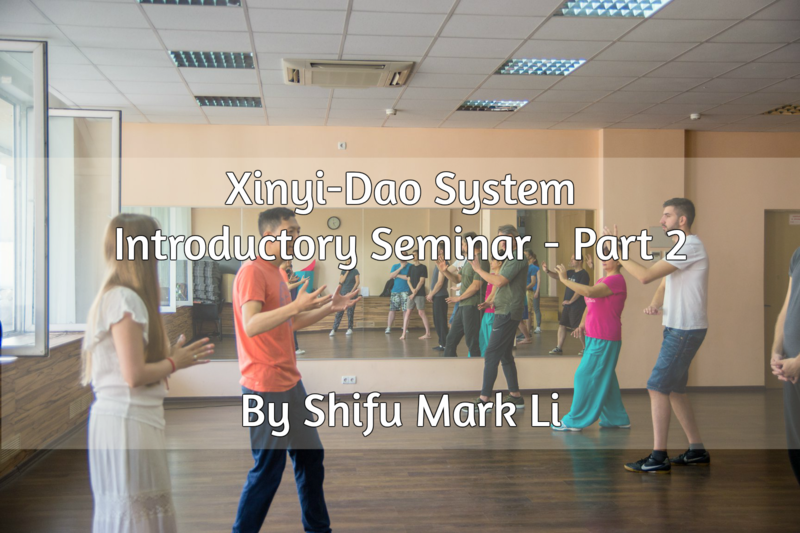 Join us as Grandmaster Li Tai Liang will discuss, at Stanford University‘s East Asian Library, the origins and methods of the Xinyi-Dao system, a modern synthesis of the traditional Chinese martial arts of Xingyiquan, Baguazhang, Taijiquan, and Shaolinquan. 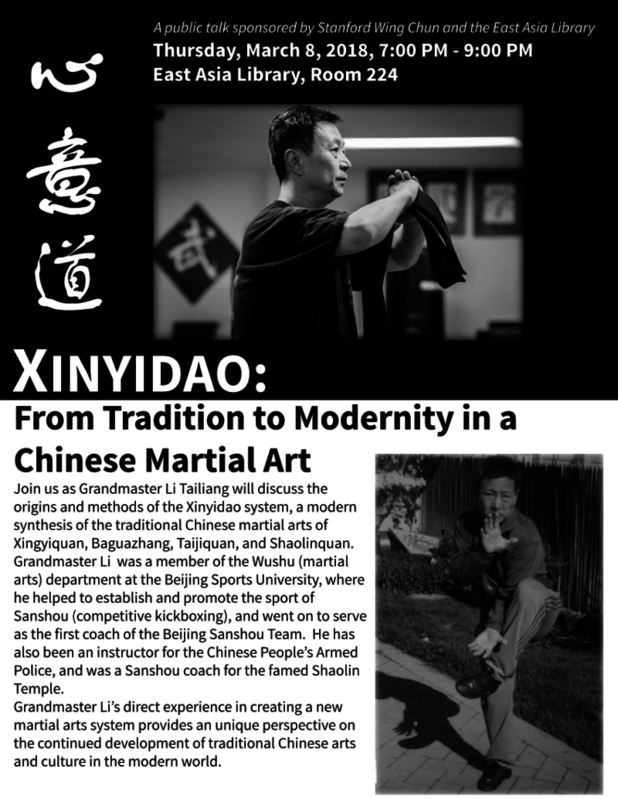 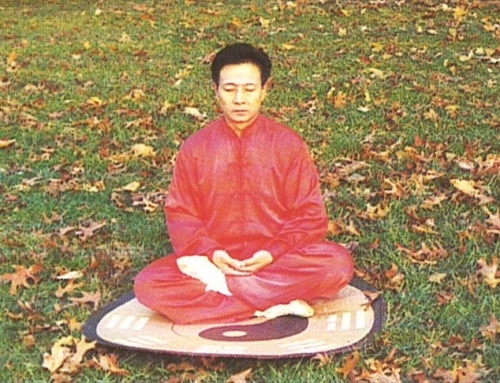 Grandmaster Li was a member of the Wushu (martial arts) department of the Beijing Sports University, where he helped to establish and promote the sport of Sanshou (competitive kickboxing), and went on to serve as the first coach of the Beijing Sanshou Team. 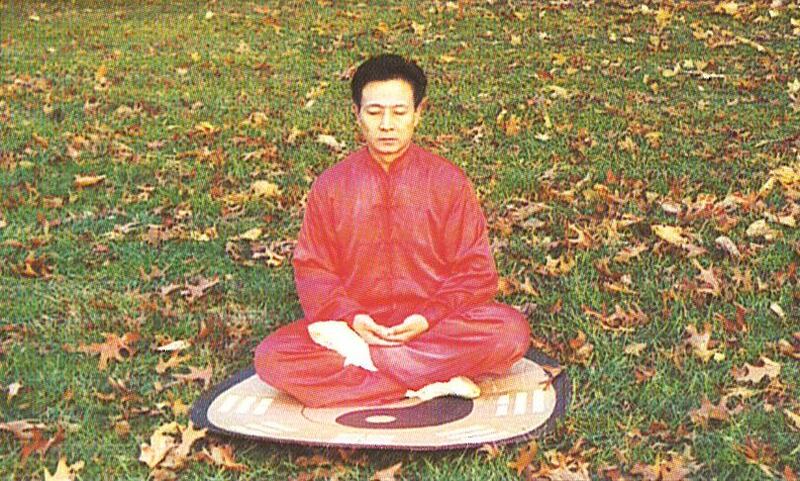 He has also been an instructor for the Chinese People’s Armed Police, and was a Sanshou coach for the famed Shaolin Temple.